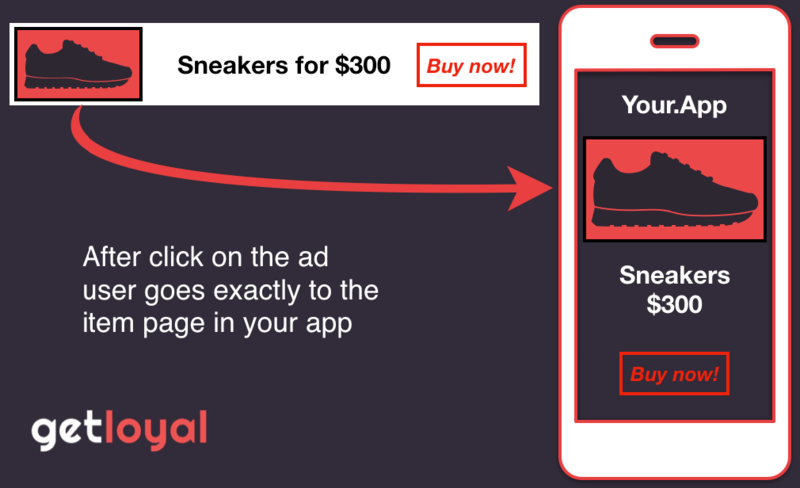 Dynamic banner advertising (dynamic retargeting) is an effective way to bring your users back to your app because they are likely to engage with ad creative that displays products they’ve already expressed interest in or products that are relevant to their interests. Tests we’ve conducted have shown that when two types of ads are displayed to the same users — static and dynamic banners — the latter outperforms the former. In fact, we’ve seen a 20% increase in CTR (click-through rate) when using dynamic ads. That’s why we believe that dynamic retargeting has great prospects for the mobile sector and that personalized banner content is the future of mobile ads. Even though dynamic retargeting has been widely used for years in desktop retargeting, in mobile it is much newer. This post aims to help app marketers understand how to create and launch a dynamic retargeting campaign. Event database which includes information about the targeted product (product ID). Product feed, which contains information about products, brand, prices, images and link to the product page. Advertising server which hosts dynamic content and generates an HTML5 banner ad. 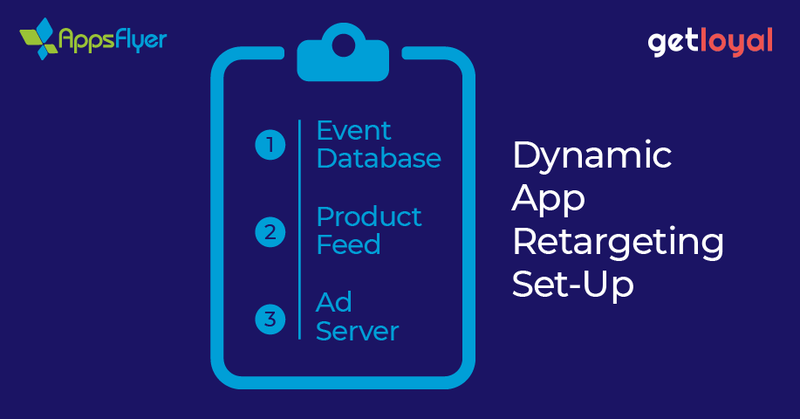 Where can you launch dynamic ads? Currently you can only display mobile dynamic ads on platforms like Facebook, Google, Twitter (still unavailable in Russia), as well as in apps via DSPs. Many users undervalue this relatively new traffic source. According to our data, DSPs’ average conversion rate to reattribution and re-engagement (percent of users that returned to your app after a click on your ad) and purchase is higher on DSPs than on other sources. In fact, the reattribution conversion rate can be as high as 85%. DSPs are connected to various supply-side platforms, or SSPs (services that are used by online publishers to automate the selling of their advertising space, or inventory) through a digital marketplace called an ad exchange. All mentioned services (DSP, SSP, ad exchange) help automate the media buying process. Top SSPs include DoubleClick, Mopub, Mobfox, Inneractive, Smaato, and AdColony. The more connected SSPs a DSP has the better, because it enables marketers to maximize the reach of their retargeting campaigns (essentially this means, finding these users across different apps). It is important to note that with regards to the cost of mobile retargeting, the rich media creative in dynamic banners increase cost by about 20% compared to a standard banner ad bought in an RTB auction. However, because it has a higher CTR and conversion rate, it is ultimately more cost effective than a banner ad. Tip: Use simple (changing images and text at intervals) or more complex (images and text change positions) animation. 2) Include a button on a dynamic banner which, when clicked, will direct a user straight to their cart with selected items. This will accelerate the click-to-purchase route and boost conversion rates. 3) Users prefer banners with text elements (showing a price and brand name) to graphics-only banners. When viewing small banners, not all users can immediately understand what they see on the screen and attribute images to products or services. 4) Customize animation styles and fonts for better UX. The customized fonts enable a brand to showcase its known product branding and design language. We have also discovered that animated banners often have higher CTR compared to standard ones. 5) Do not underestimate the value of deep linking. Setup a custom deep link for each product item and link with its picture shown on a banner. Universal links like Onelink™ are always preferable because they cover all use cases. To sum up, despite some challenges setting up dynamic app retargeting campaigns, by following the above steps you will be able to leverage the potential of this proven method, which is becoming increasingly critical as app marketers seek to overcome the retention and engagement challenge. 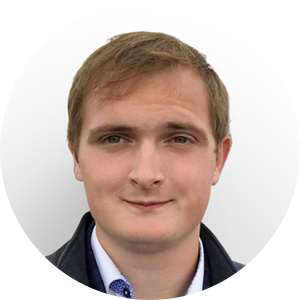 Vladimir Galitskiy is a business analyst at Getloyal, an automated retargeting platform for mobile apps. He manages various projects centered on automation and ad creation processes where he applies best practices and also suggests his own.